Among many parties that register for fighting elections, only a few gain popularity and make it get a mass approval from people to become a ruling party for years to come. Each party declares its prominent leader/party workers, who they think can mobilize the vote, based on their popularity and hard work towards the campaign. These exceptional campaigners are labelled as star campaigners for the party. Notable contesting parties for Gujarat assembly elections 2017 are BJP(Bharatiya Janata Party), AAP(Aam Aadmi Party), INC(Indian National Congress), BSP(Bahujan Samaj Party), JDU(Janta Dal (United)), NCP (Nationalist Congress Party)and SP(Samajwadi Party). A star campaigner's role extends from managing the overall election scene to taking care of minuscule details from day to day activities. A party employs several other workers too to accomplish the same. 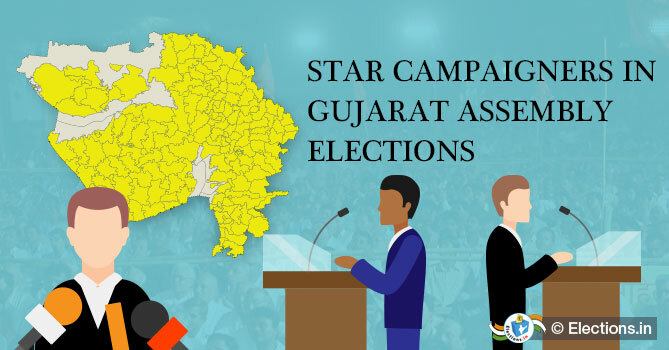 The managerial role of a star campaigner encompasses management and coordination of hired staff for working towards party goals and to guide the operations with flair. Generally, a star campaigner also has a finance team, which looks after the candidate's budget, and works closely with them to keep themselves on the track. The team also oversees the fundraising operations and overall budget for the election campaign. They even push the candidates to meet the goals related to fund raising. The star campaigners also express presence in media through interviews, rallies and other campaign events. They also help the party gain further popularity by delivering effective speeches at various events and strengthening the whole party's foundation in elections with a strong online presence through websites. Strategy building and pro-active thinking by the campaigning party is highly important for them. BJP is in highlights of the Gujarat polls owing to the fact that the party has ruled the state for more than two decades and the country has PM of Gujarat-origin. Prominent among the list of star campaigners for BJP include PM Modi himself in addition to Amit Shah, Smriti Irani, LK Advani, Arun Jaitley, Sushma Swaraj and more. Hopes are high for Congress as well as it seems to have got the Patidar community support. Chief star campaigners for the Congress are Sonia Gandhi, Rahul Gandhi, Manmohan Singh, Ashok Gehlot, Raj Babbar and more. AAP is another party that strikes a chord with the public, mainly because the CM for the capital of the country is its leader. Star campaigners list form this party involves the name of Gopal Rai, Ashutosh, Sanjay Singh, Pankaj Kr Gupta, Adarsh Shastri and Dilip Pandey. BSP, led by Mayawati, has star performers like Mayawati herself, Shrikant, Ramachal Rajbhar, Satishchandra Mishra and more. While JDU finds star campaigners in R.C.P. Singh, K.C. Tyagi, Rajiv Ranjan Singh, Harivansh, Sanjay Jha and a few more. The NCP has Sharad Pawar, Praful Patel, Tariq Anwar, D.P. 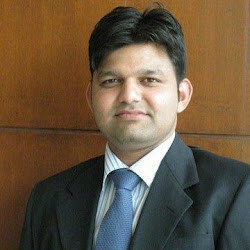 Tripathi, Y.P. Trivedi and Supriya Sule as star campaigners. And SP has Akhilesh Yadav, Kiranmay Nanda, Naresh Aggarwal, Surender Singh Yadav, Sunil Singh Sajan and Rakesh Pal among others.